Bread puddings were the invention of thrifty cooks to make good use of stale bread. This one is packed with sautéed apple slices to give a memorable reminder of the past. It's wonderful on its own or accompanied by cream, custard sauce or yogurt. Sprinkle crumbs in well-buttered 8-inch (2 L) square baking dish. Remove crusts from bread; spread bread with half of the butter and cut into quarters. Line dish with half of the bread, buttered side up. In large skillet, melt remaining butter over medium-high heat; sauté apples for 5 minutes. 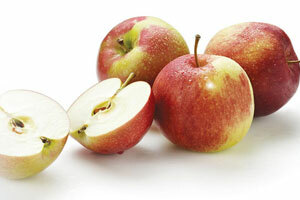 Sprinkle with 3 tbsp (50 mL) of the sugar; sauté apples for 3 to 5 minutes longer or until apples start to turn golden. Do not let apples become mushy. In bowl, beat eggs well; beat in remaining sugar. Gradually whisk in hot milk, vanilla, cinnamon and salt; pour half of the mixture over bread in dish. Evenly spread apple mixture over top. Cover with remaining bread and pour remaining egg mixture over top. Place baking dish in larger shallow pan. Pour 1 inch (2.5 cm) boiling water into larger pan and bake, uncovered, in 325°F (160°C) oven for about 45 minutes or until custard is almost set. Remove baking dish to wire rack. Brush currant jelly over top of pudding. Serve hot or warm.